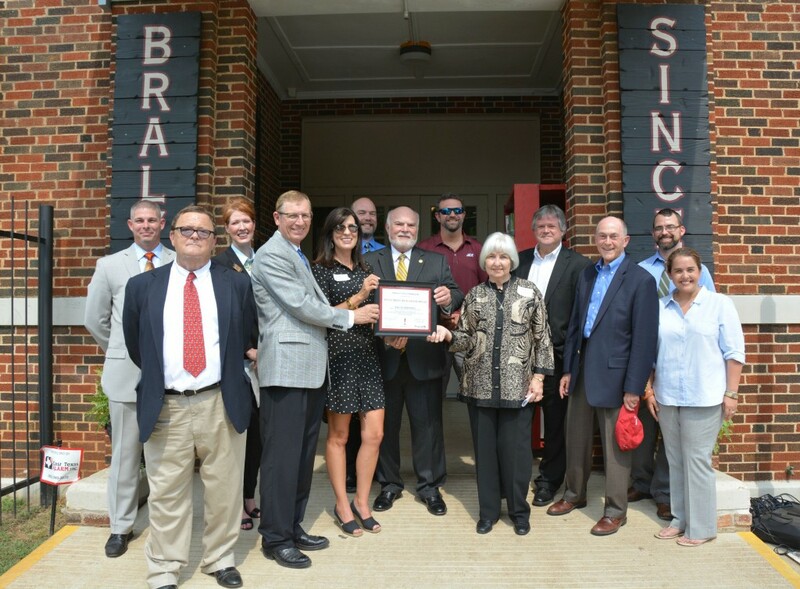 Palestine, Texas- Local community leaders, business owners, and government officials gathered at Braly Builders Supply on Thursday, August 27, where they celebrated the presentation of the Texas Treasure Business Award with the Braly family. Braly Builders Supply, named “Coolest Hardware Store on the Planet” in 2014 by Ace Hardware, received the Texas Treasure Business Award for its continual service in the community for over 50 years. In fact, Braly Builders Supply has been serving the community for over 80 years. Texas Sen. Robert Nichols, Rep. Byron Cook, Judge Bascom Bentley III, Marty Prince, executive director for Texas Forest Trail Region, Vaughn Aldredge of the Texas Historical Commission, and Mayor Bob Herrington, were all in attendance and spoke on behalf of Braly Builder Supply and the family’s commitment to Palestine. According to Aldredge, the Texas Treasure Business Award began in 2005, then in 2013, the program was relaunched. Since 2005, approximately 300 businesses have received the award. Businesses eligible to receive a Texas Treasure Business Award must have been in continuous for profit operation for at least 50 years in the State of Texas; must also operate the same, or in a very similar fashion as when the business first began; have a continuous record of employment for at least the past 50 years; operate as an independent, for profit business; and maintain a good business relationship with the state. Rep. Cook told the crowd, small business is big business in rural East Texas. He then thanked the Bralys for investing in the future of Palestine, and for their recent work to restore the Historic Rusk Elementary School, where Braly Builder Supply is located today. Sen. Nichols also thanked the Bralys for their service and commitment to their community over the years, as well as customers who have supported the businesses over the past eight decades. Margie Braly, accompanied by son Stephen Braly and his wife Vicki, gave a brief history of the family business. She shared stories about her father’s first job as a log hauler, and how he earned $13.50 per week until he got married and received a raise to $15 per week. She also noted he worked about 80 hours per week for his wages. Stephen Braly then thanked everyone who helped make Braly Builder Supply a Texas Treasure Business, and the “coolest hardware store on the planet. He thanked his staff, some of which have been employees for over 40 years, faithful clients, and the outpouring of community support during the renovation of the building. Visit this Texas Treasure at 420 W. Palestine Avenue in Palestine, Texas. PALESTINE — Christmas celebrations will get underway in Palestine this Saturday. The city will kick off Christmas with Breakfast with Santa and the annual Christmas Parade of Lights. NACOGDOCHES- Every year, the Nacogdoches Historic Landmark Preservation Committee seeks to honor a local preservationist – someone who has helped to preserve a piece of historic Nacogdoches. The committee examines restoration efforts, which have been completed the previous year, and chooses the project that shows exceptional merit in the field of historic preservation. This year the committee had a tough decision to make as there were three highly merited projects nominated. 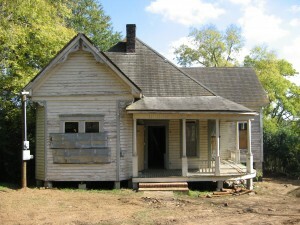 Ultimately the Nacogdoches Historic Landmark Preservation Committee chose Ken Lucas for his work at 723 Virginia St. Upon beginning restoration, this property was uninhabitable and close to being torn down. Mr. Lucas has chosen to invest in our beautiful city and preserve the history of a local landmark, and we are thankful for the time, effort and the striking results of Mr. Lucas and all of our local preservationists! The two upper forks of the Sabine River, the South and Cowleech Forks, are formed in eastern Collin County and northwestern Hunt County respectively. I visited Braly Builders Supply in Palestine today and was very pleasantly surprised at all they had to offer. They have a new housewares section that is amazing. Full of kitchen gadgets and accessories. Ladies, next time your husband needs to go get something there tell him you want to go too. You will love all the shopping you can get done at the same time.